Montana and the West are full of people who carve their own ways, people who are able to turn their passions into lifetimes. Tom Harmon is one of those people. 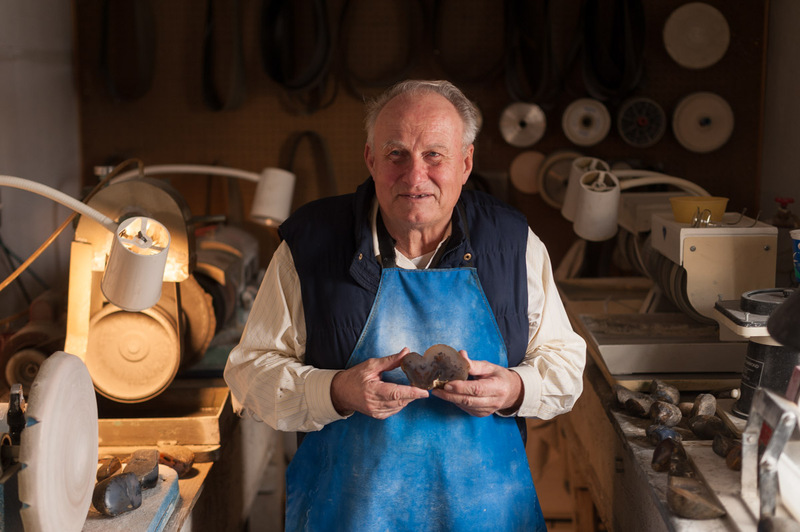 He has been gathering agates along the Yellowstone River in eastern Montana for nearly all of his life. In the late 1960s, Harmon was making a living as an auto mechanic and gathering, grinding, polishing and then selling rocks on the weekends. 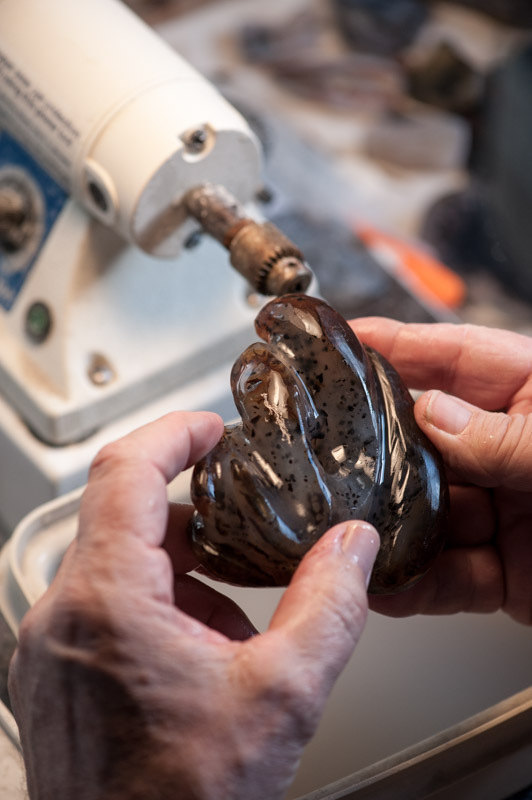 When he and his wife realized they was making more money working with agates than with engines, they leapt into the rock business and haven’t looked back since. 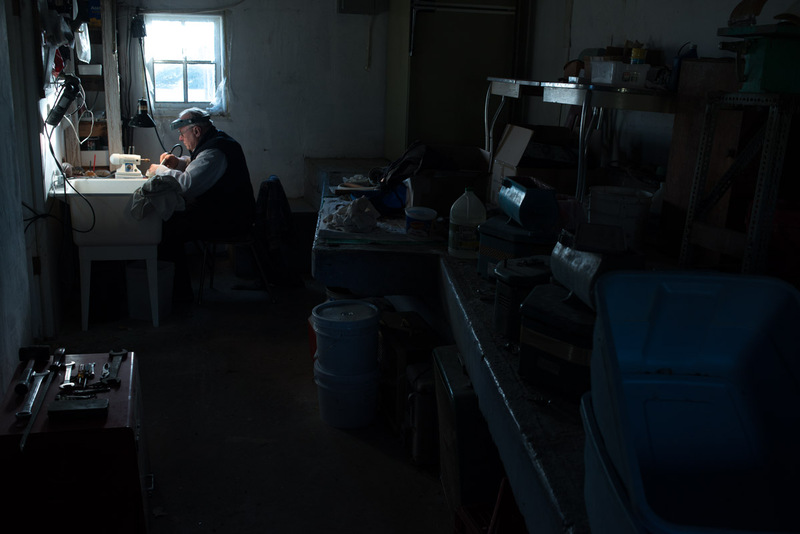 At his home in Crane, Montana, south of Sidney, Harmon has converted a dairy barn into a workshop where he transforms the rocks he finds along a riverbank into display pieces and jewelry. 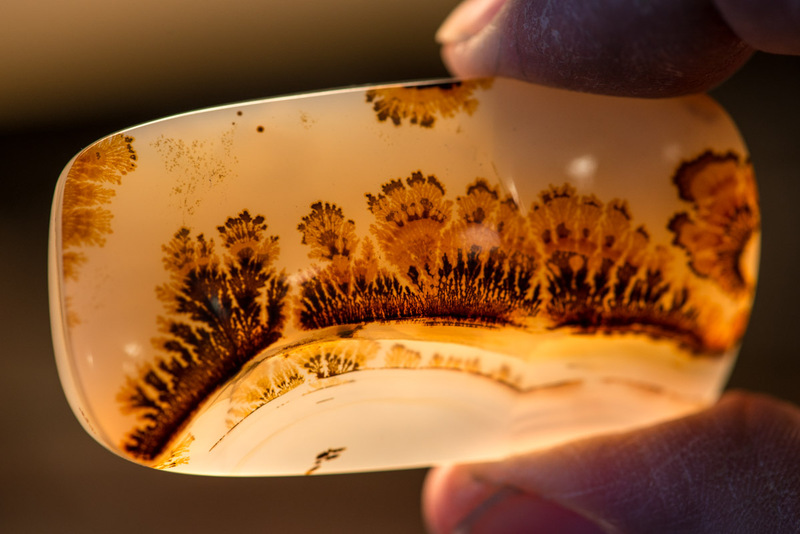 A finished agate is cut and polished. This one was cut thin and framed. It is most dramatic when lit from behind. 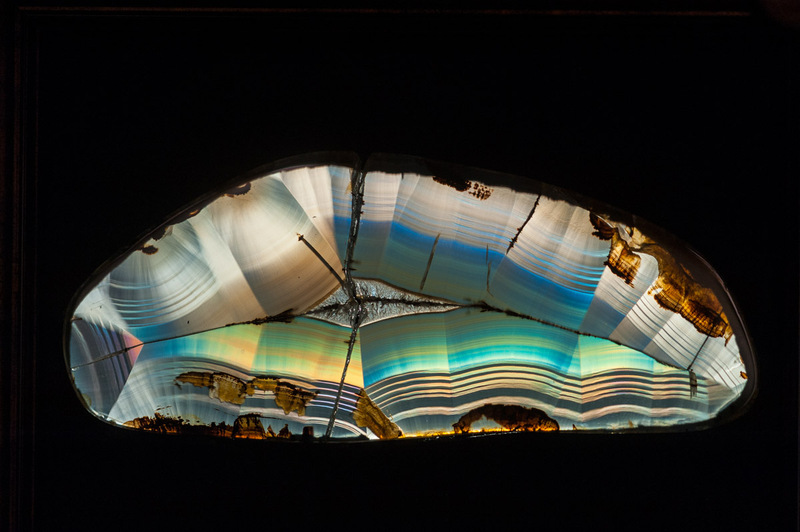 Agates come in a wide variety of colors and configurations. This one appears to show trees. 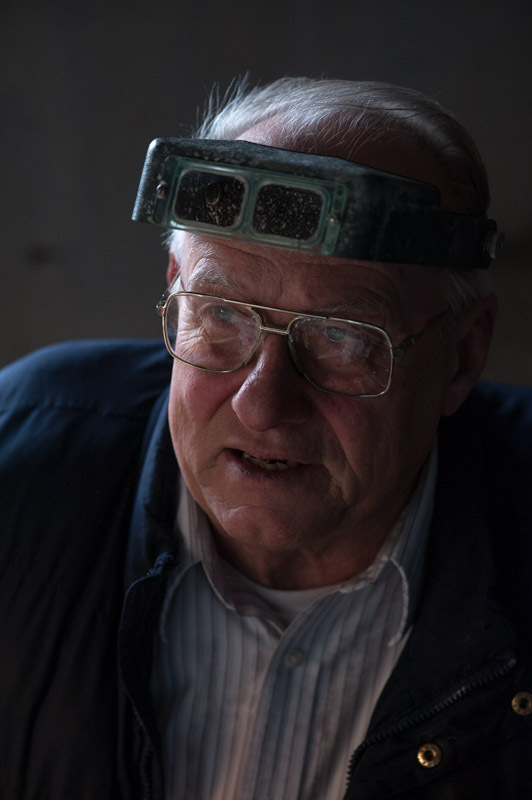 Inside his shop, Harmon grinds a stone into what may become a claw shape. 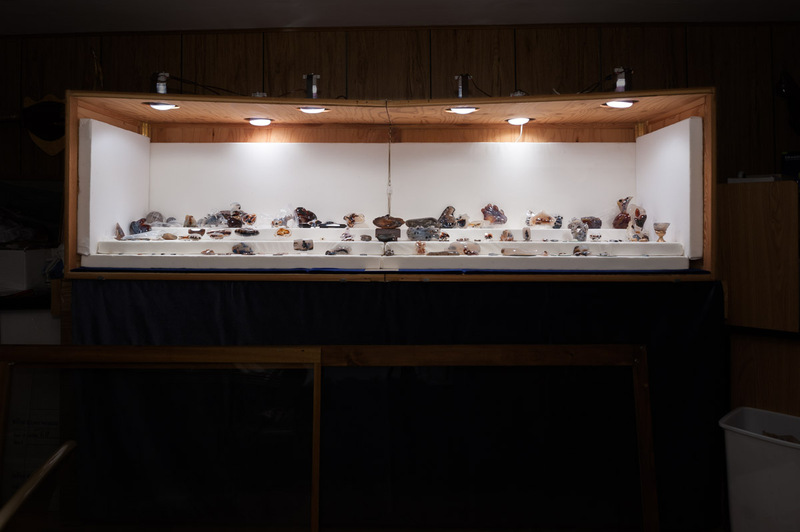 In his basement, Harmon keeps a display of his favorite agates. These pictures and more can be found in the current issue of Montana Quarterly. See these pictures big here, on my website.